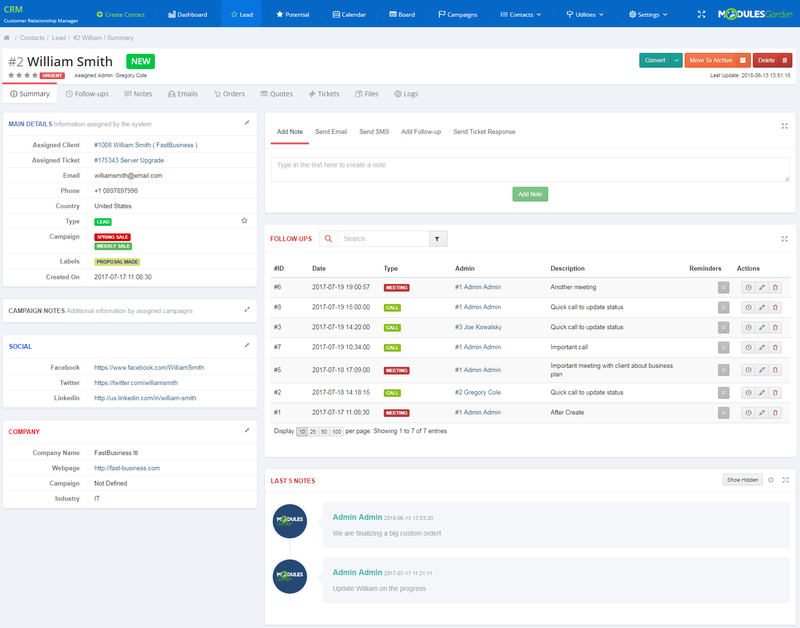 CRM For WHMCS is a revelatory module created for complex customer relationship management including the leads, potentials and any other contact type you wish to create as well as the follow-ups. 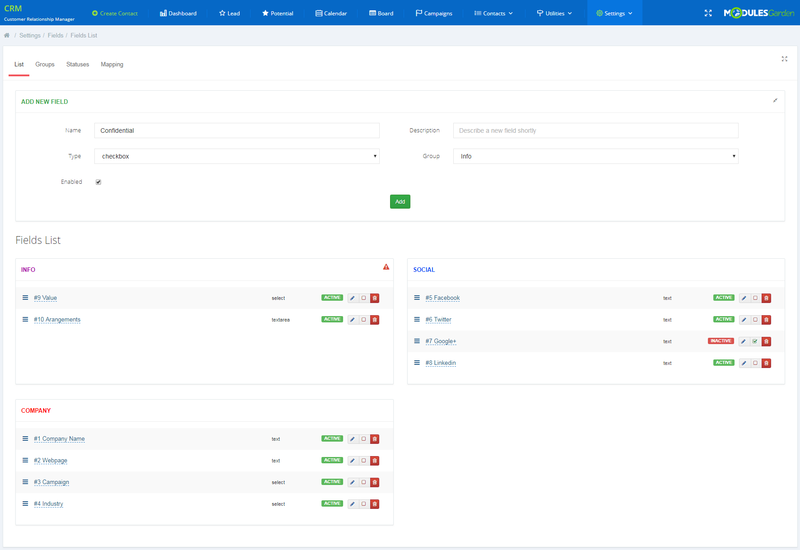 With its help, all contact details of prospective clients will be organized in a transparent list directly in your system. 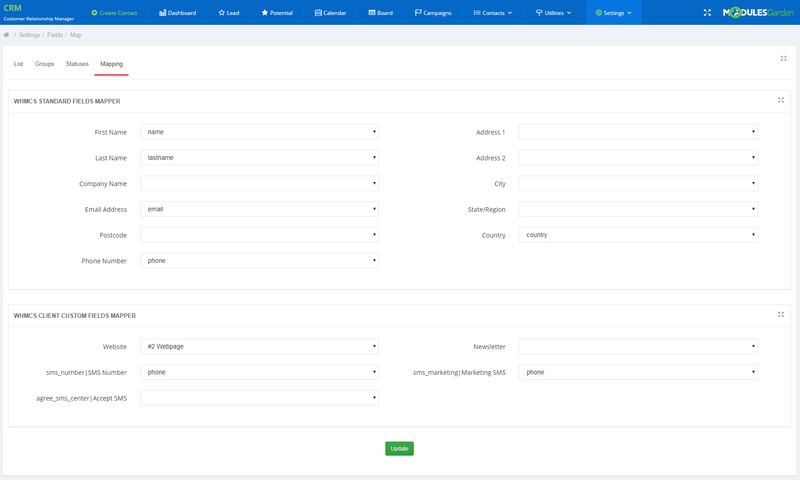 Along with that, you will be able to add new contacts, convert their status at any time or even create accounts for them without the need to leave the addon page. 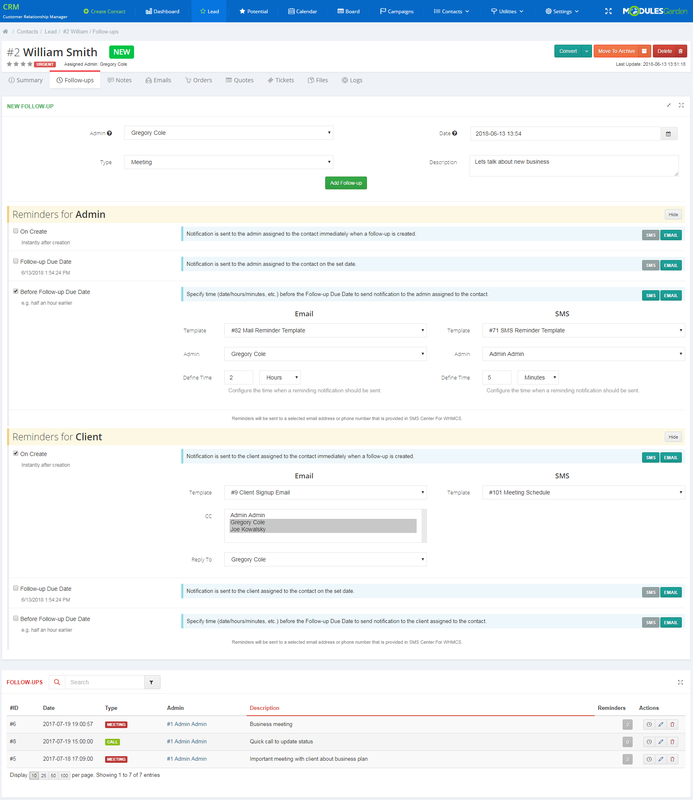 Of no less substance is the fact that you will be given the possibility to set up your own labels and assign to them clients on the Kanban board through the convenient drag & drop functionality. 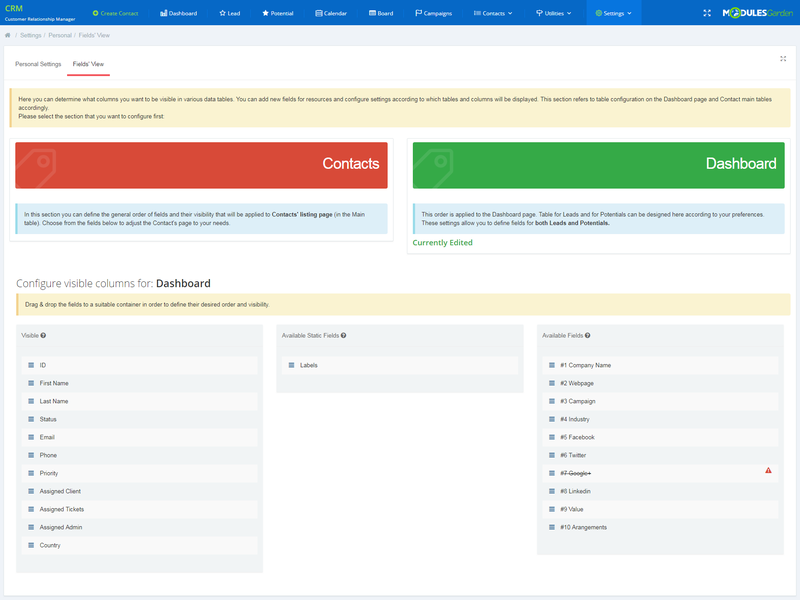 What is more, you may gather contacts' details by generating and locating customized web forms on your external web sites to obtain data as easily and quickly as possible. Furthermore, the module includes a wide spectrum of advanced features to facilitate your business management. 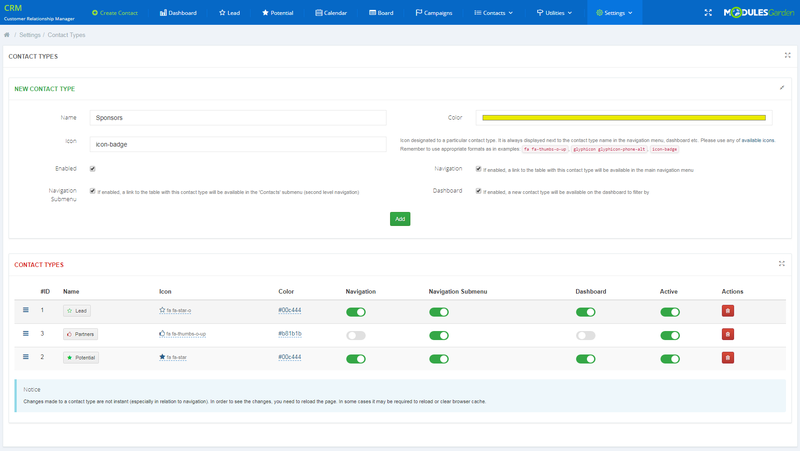 You will be allowed to define permissions for each administrator role, send automated emails, issue announcements, add notes, create campaigns, generate quotes as well as view logs and other details of your tasks. 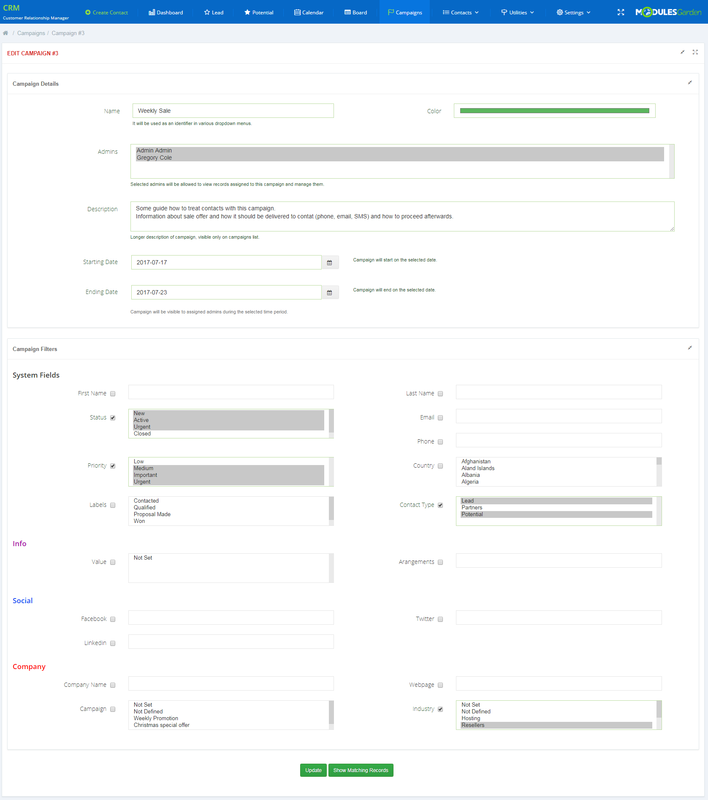 Another component worth mentioning is the capability to manage automation groups and construct rules in order to automatically create follow-ups, send notifications, and add reminders. 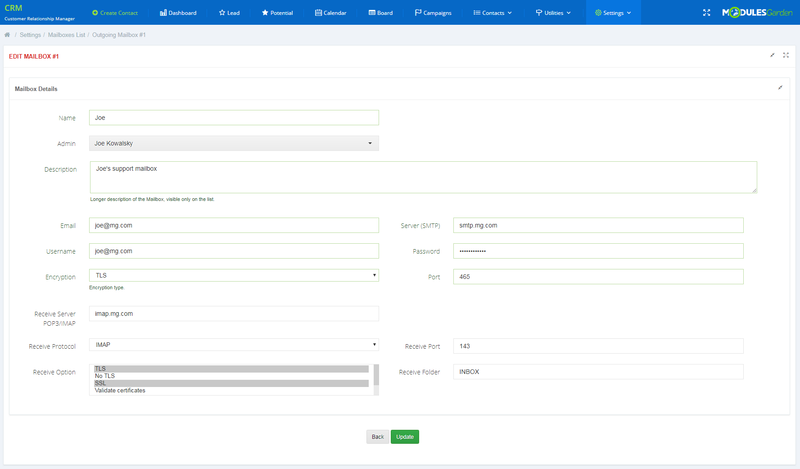 There is even an option to add custom fields for your contacts in order to gather every required information in one place as well as possibility to access complete conversation history directly from the contact view. 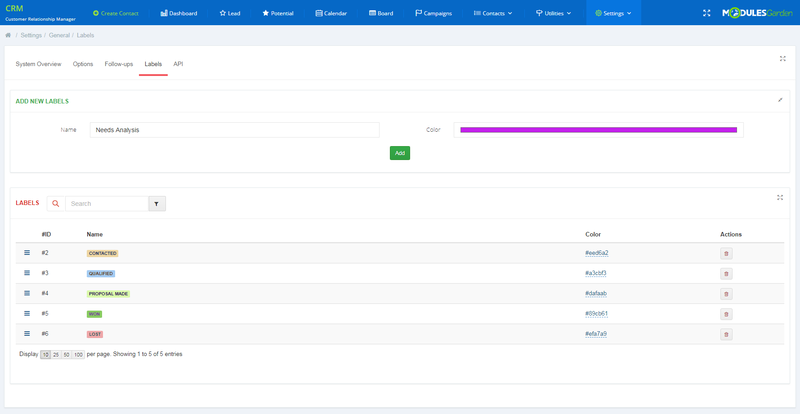 All the data can be imported/exported so you will be enabled to migrate them between WHMCS systems or simply make a backup whenever you need to. 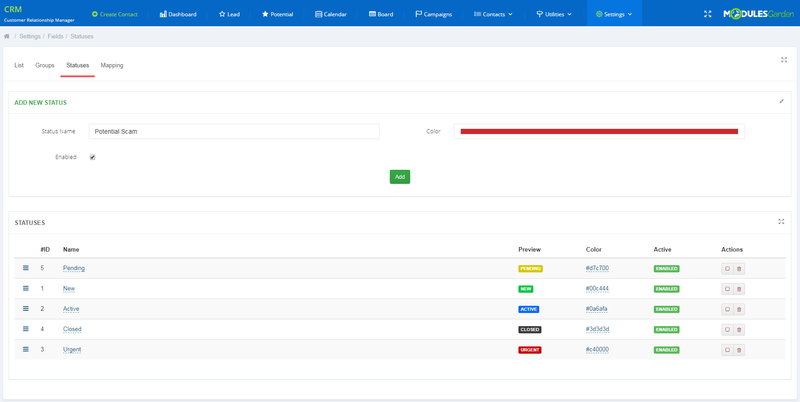 No less convenient is the ability to turn on the standalone mode which renders the addon page outside WHMCS or toggle full screen for particular widgets. 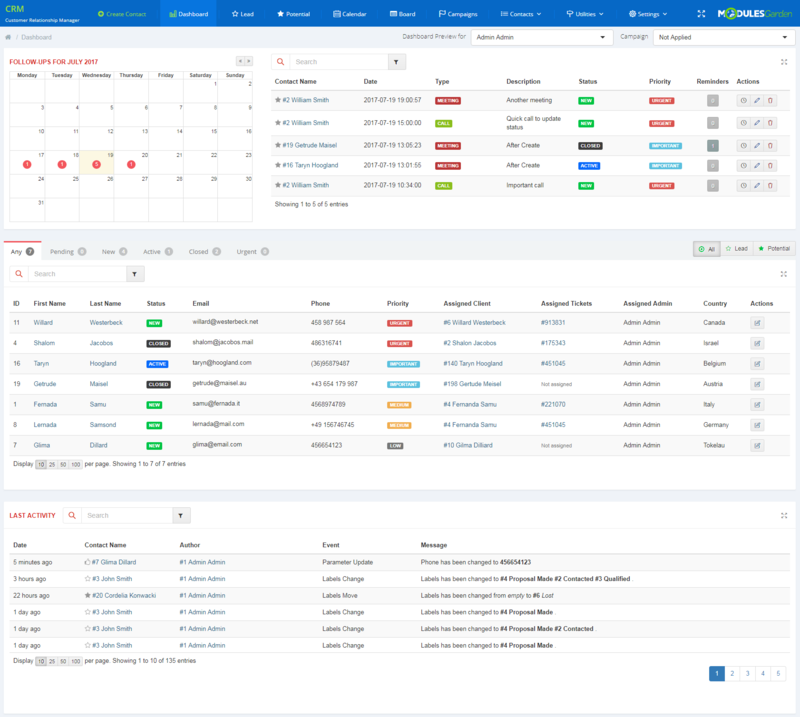 In addition, you will be able to overview and analyze assembled information thanks to the graphic presentation on the dashboard. Alongside the statistical graphs and tables, there will be a calendar showing the schedule of foreseen follow-ups. 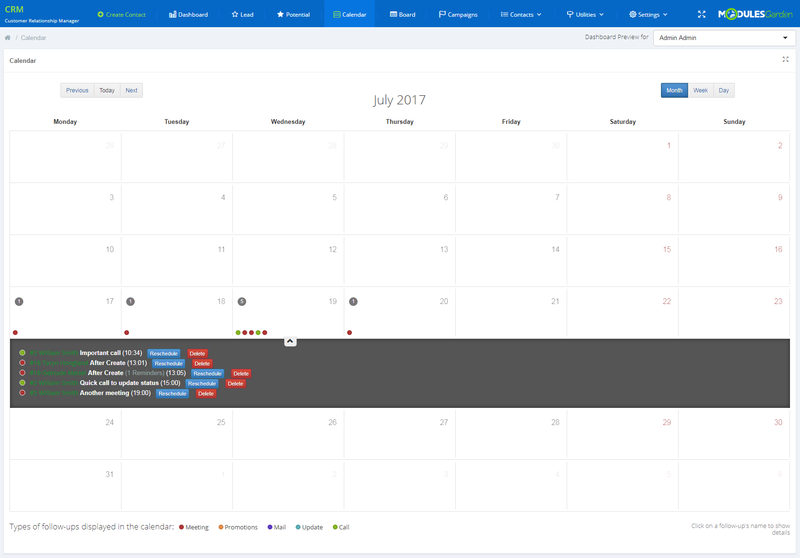 Should you prefer to handle the follow-ups using WHMCS or Google calendar, it will be also possible thanks to the built-in integration. What makes the module even more unique is the possibility to combine it with our other products. 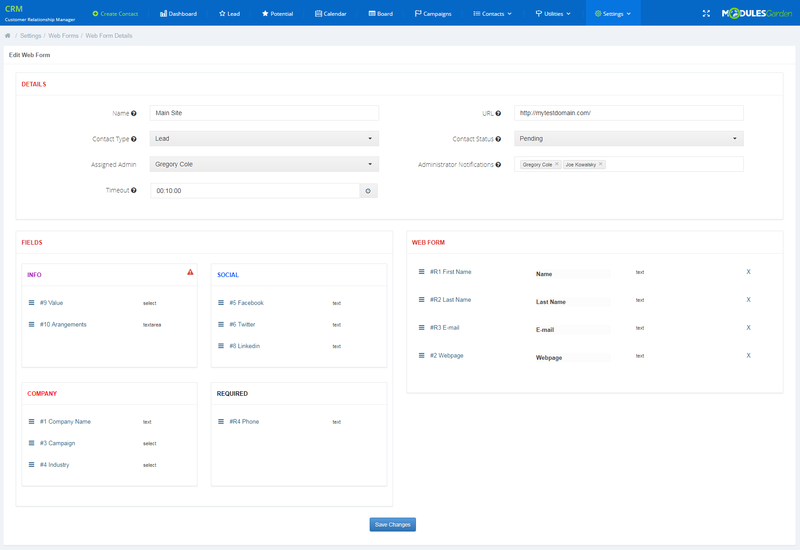 You can expand its efficiency with the help of Asterisk VoIP Center For WHMCS which will let you originate calls between any destination number directly in the addon. 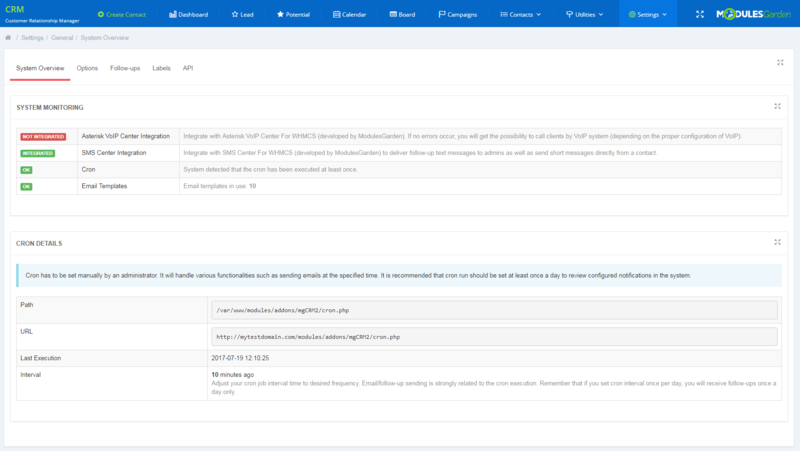 Your administrators will be able to receive SMS reminders upon integration with SMS Center For WHMCS. 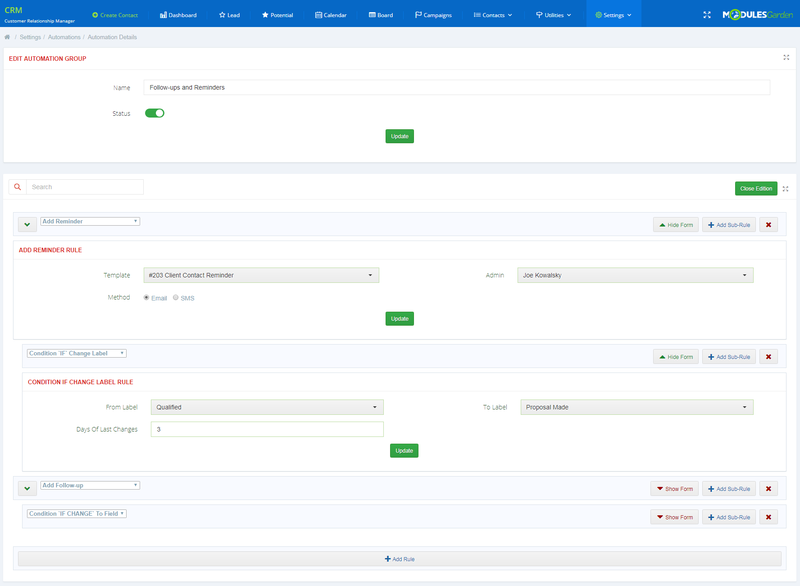 Finally, Quotes Automation For WHMCS will increase quotes functionalities. 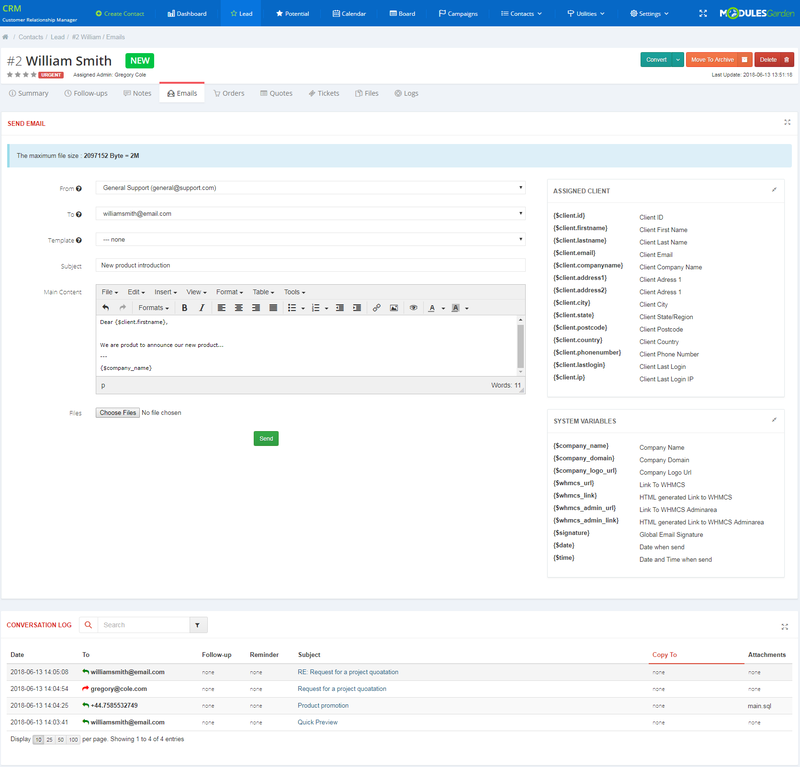 Discover the new definition of customer relationship management with CRM For WHMCS. Order the module today and unlock endless possibilities to enhance your business connections! 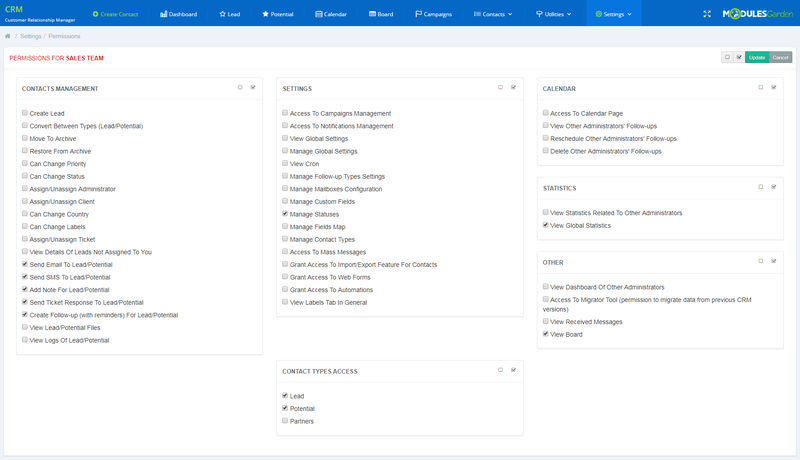 Was looking for a CRM which supported a client Portal. 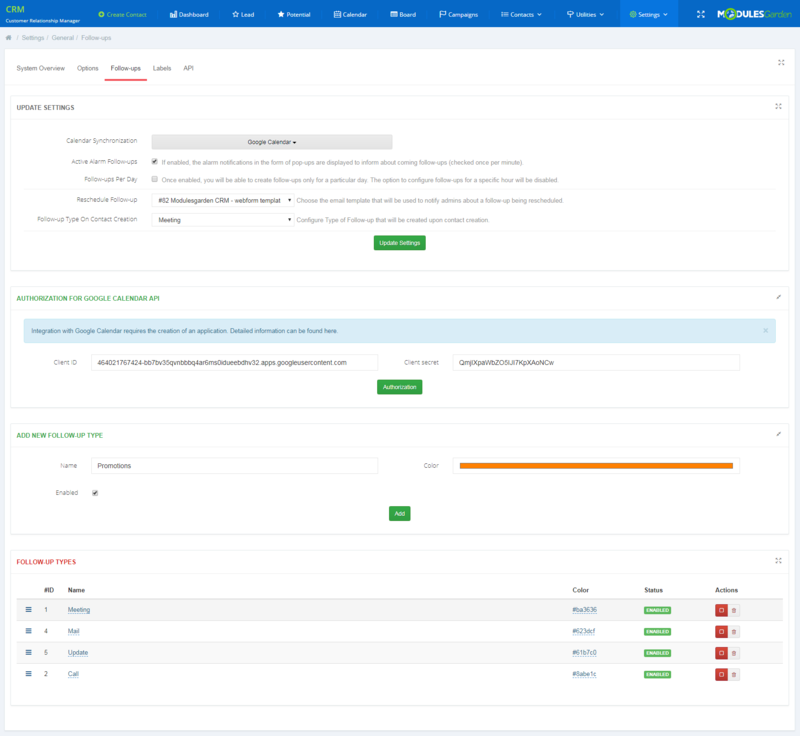 Thus using this module with WHMCS allowed us to have exactly that. 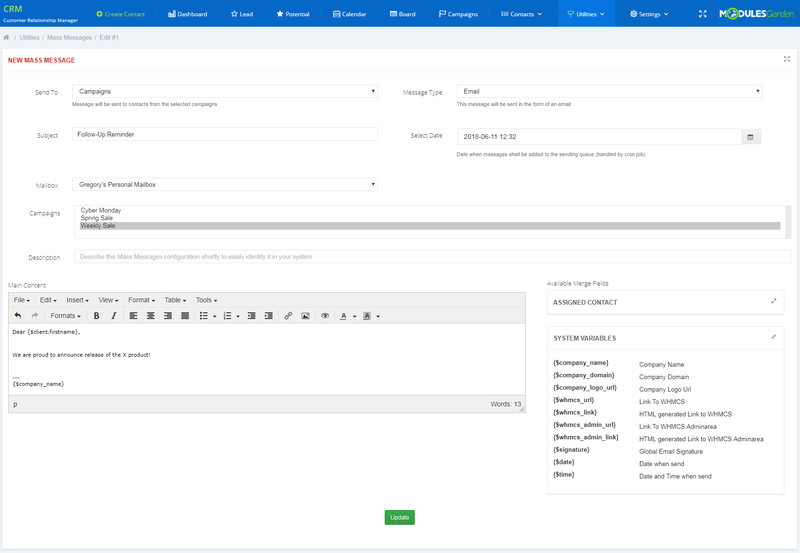 Hoping you could add features to the product, like multiple email box's, and maybe a google mail client integration, so that each user can send from their own emails. 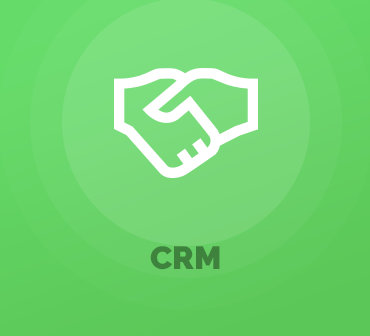 Outside of that, its the only CRM that suited the majority of our requirements. Awesome job with the latest new features. Frankly we couldn't even consider using this before since it was lacking many of the features which you just added now. The biggest issue we have now is that it does not have a way to create a followup email campaign. 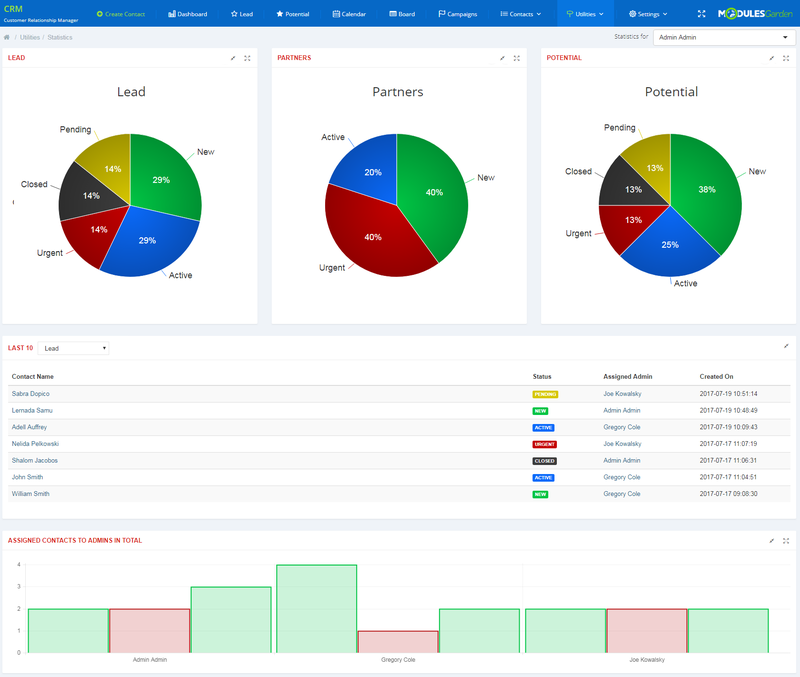 Every lead needs constant communication to convert. For now we are using Mautic and are happy with it. See how you can incorporate some of their features here and it will be more robust.